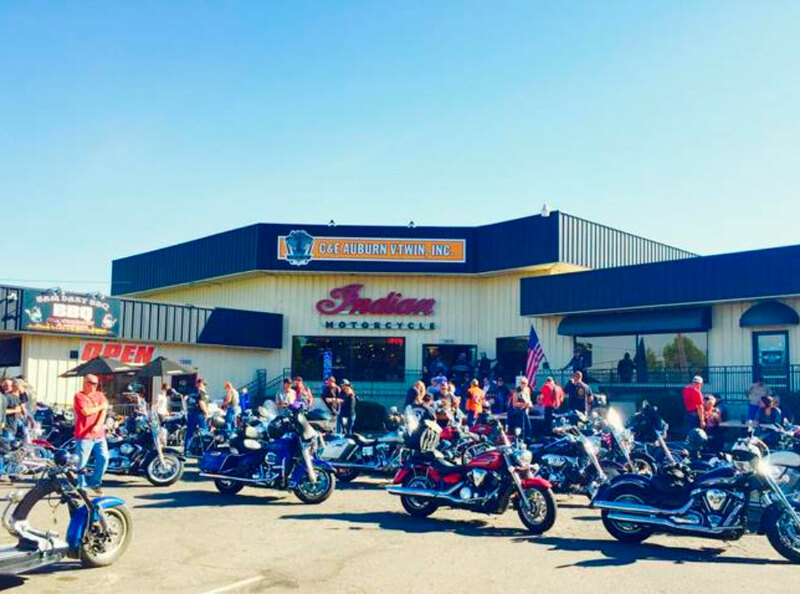 Welcome to C&E Auburn Indian and V-Twin, your premier Northern California Indian dealership. Everything the Indian Motorcycle Company creates is made with the same purposeful engineering and unparalleled craftsmanship, ensuring that every Indian Motorcycle product is as classic, stylish, and handcrafted as it ever was. Discerning riders look for the combination of reliability, performance, and style. If you’re looking for a new bike, you owe it to yourself to ride an Indian Motorcycle. Start your journey with us. We’re here to help. A full-service dealership, C&E Auburn Indian and V-Twin also provides a comprehensive service menu for Harley-Davidson®, offering Genuine Harley-Davidson® parts and accessories.